Based on the 2009 IECC; Chapter 5 of the 2009 IECC allows for an alternative compliance pathway for commercial structures through ASHRAE Standard 90.1-2007. After the approval of Act 802 in 2011, the Arkansas Energy Office (AEO) has been granted authority to promulgate rules to update the Arkansas Energy Code. Rules must be approved by Administrative Rules and Regulations Subcommittee of the Arkansas General Assembly. Before 2011, when a proposed code change was initiated by the AEO, it was first reviewed by the affected parties. They evaluated the proposed changes and worked with the AEO to refine them to satisfy all parties, if possible. All changes were then submitted for public hearing. After approval at the public hearing, the proposed change was acted upon by the AEO and by two legislative committees before it would be included in the next edition of the code. January 1, 2014 The Arkansas Energy Office, a division of the Arkansas Economic Development Commission, adopts the 2014 Arkansas Energy Code for New Building Construction, also known as the 2014 Arkansas Energy Code. The 2014 Arkansas Energy Code, which sets the minimum energy efficiency standard for new construction in Arkansas, is based on the 2009 IECC. Amendments for residential construction such as duct pressure testing are no longer required; programmable thermostats and consumer disclosure labels specifying components of the home are now required. The commercial energy standard remains unchanged from the 2011 version of the code. Local jurisdictions may adopt more stringent codes. January 1, 2013 The commercial provisions are updated to reference ASHRAE Standard 90.1-2007 and Chapter 5 of the 2009 IECC (the previous 2004 state code is based on ASHRAE 90.1-2001 and the 2003 IECC), while the residential standards continue to reference the 2003 IECC. The Administrative Rules and Regulations Subcommittee of the Arkansas General Assembly approves the Arkansas Energy Office (AEO) 2011 proposal to update the state’s commercial energy code. The code update rule renames the 2004 Arkansas Energy Code as the Arkansas Energy Code for New Building Construction. AEO also partners with the state chapter of the USGBC to provide four training sessions on the new commercial code in 2012. Effective January, 1, 2013, it updates the commercial provisions to reference ASHRAE Standard 90.1-2007 and Chapter 5 of the 2009 IECC (the previous 2004 state code is based on ASHRAE 90.1-2001 and the 2003 IECC), while the residential standards will continue to reference the 2003 IECC. AEO has also partnered with the state chapter of the USGBC to provide four training sessions on the new commercial code in 2012. Governor Mike Beebe signs Senate Bill 816 into law as Act 802. This legislation authorizes the Arkansas Energy Office to promulgate rules to update the state’s energy codes. 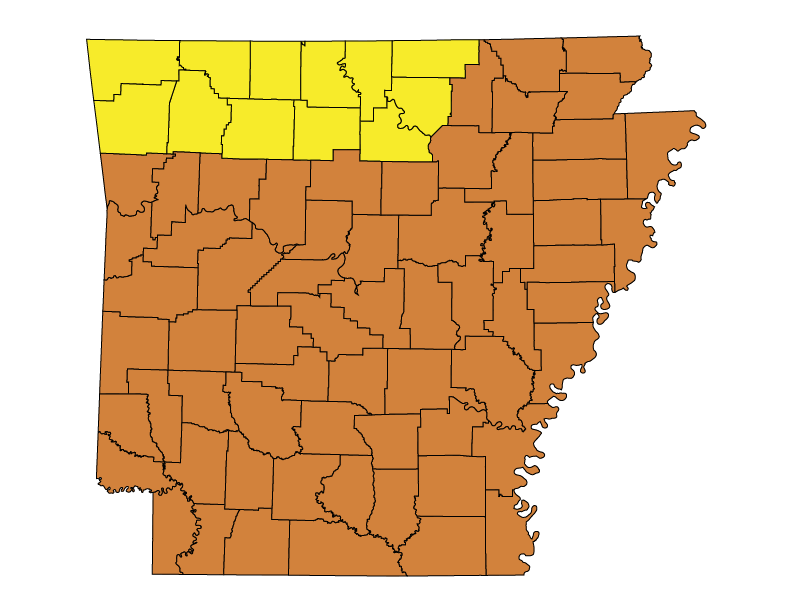 It also requires cities or counties that issue building permits for new construction to adopt the Arkansas Energy Code for New Building Construction. As directed by Act No. 1494, the Arkansas Energy Office begins implementing the Rules for Sustainable Energy Efficient Public Buildings. These guidelines established performance criteria and goals for sustainable and energy efficient new and majorly renovated public buildings based on ASHRAE 90.1-2007. Public buildings must be designed, constructed, and certified to at least 10% reduction below the baseline energy consumption determined with the Performance Rating Method (PRM) of Appendix G of ASHRAE 90.1-2007. BCAP publishes a Gap Analysis Report for the state of Arkansas. Governor Beebe signs Executive Order 09-07. This legislation encourages the reduction of energy consumption by state agencies and the environmental impact of state agency operations. Governor Beebe signs Act No. 1494 into law. This legislation encourages the conservation of energy and natural resources in buildings owned by public agencies and institutions of higher education. October 1, 2004 The 2004 Arkansas Energy Code, based on the 2003 IECC and ASHRAE Standard 90.1-2001, becomes effective. 1993 Legislation was approved in January giving the AEO the authority to adopt new standards through a rule-making process. The AEO adopted a code in October 1994, referencing ASHRAE 90.1-1989 for commercial buildings, and based on the 1992 MEC for residential buildings. The code was editorially revised on May 3, 1995. 1979 The first Arkansas Energy Code is enacted and is based on the 1977 Model Code for Energy Conservation in New Building Construction (MCEC), which references ASHRAE/IES Standard 90-1975.